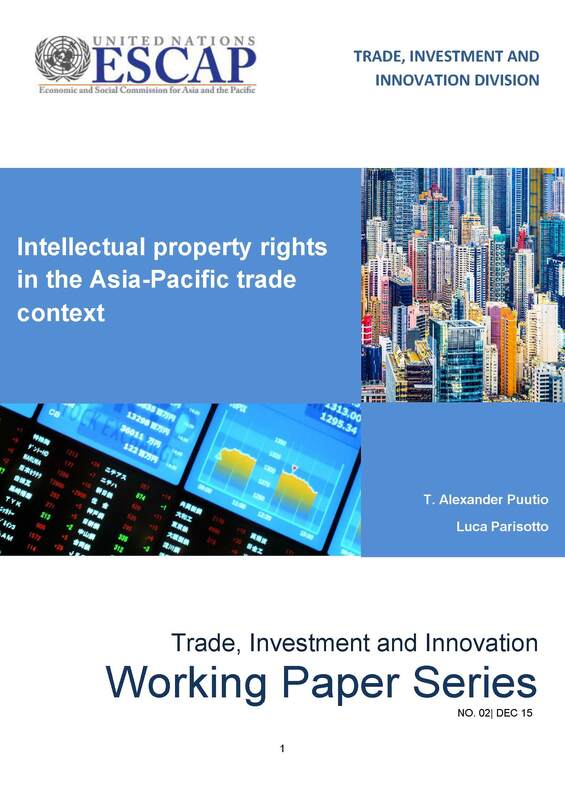 In this paper, we expand the analysis of intellectual property rights (IPRs) in free trade agreements (FTAs) undertaken by Puutio (2013). Our research is based on the Asia-Pacific Trade and Investment Agreements Database (APTIAD) upon which we have built a parallel database that documents trends in the inclusion of IPRs in FTAs in the Asia-Pacific region. iii. Forum shifting is best viewed as a rational response to private progress and public stagnation. iii. The stringency of IPRs in FTAs has grown; however, there is no clear evidence of spiraling or ratcheting up across all development groupings. In part I we discuss the foundations of assessing IPRs clauses in FTAs. In Part II we present the current state of affairs in Asia and the Pacific.